Oleksandr Usyk has signed a multi-fight promotional deal with Matchroom Boxing, with his next fight to be shown live on Sky Sports. The pound-for-pound star, who teams up with Matchroom alongside K2 Promotions, is the current undisputed cruiserweight king after victory over Murat Gassiev in the World Boxing Super Series final. In comprehensively outclassing Gassiev, Usyk, an Olympic gold medalist, created history by becoming the first man in the cruiserweight division to hold all four recognised world titles at one time. The unbeaten Ukrainian called out former WBC Champion Tony Bellew in the aftermath of his win and is hopeful of defending his titles against the Liverpudlian in a blockbuster showdown later this year before targeting a bout with unified heavyweight world champion Anthony Joshua. Usyk said: "I'm thrilled that K2 Promotions will be working with Matchroom Boxing moving forward to secure me the biggest fights out there. "Fans can look forward to watching me take on the biggest and best names in the sport. Boxing for me is all about drama and victory, and there is plenty more to come. "A fight with Tony Bellew would be a momentous occasion, he is a good boxer and a good person and I also have the option to move into the heavyweight division. "Thankfully, England is more than just a country for me, in this country I got what I was reaching for half of my life, I got my Olympic gold medal and in Liverpool I became European Champion in 2008. England is a lucky country for me and fortune comes only with hard work." Boxing for me is all about drama and victory, and there is plenty more to come. Matchroom Boxing's Eddie Hearn said: "I'm delighted to be working with Oleksandr Usyk and K2 in bringing a pound-for-pound star to the Matchroom team. 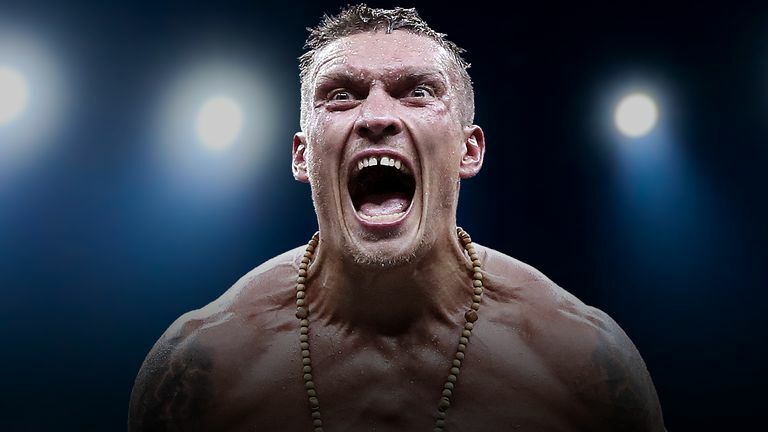 "Usyk holds all the cards at cruiserweight and is already eyeing a move to heavyweight and in particular a fight with Anthony Joshua. Right now our priority is to try and finalise a super fight with Tony Bellew later this year but either way we will announce his next fight in the very near future which will come to you live on Sky Sports and DAZN. Our priority is to try and finalise a super fight with Tony Bellew for later this year. "Right now our priority is to try and finalise a super fight with Tony Bellew later this year but either way we will announce his next fight in the very near future which will come to you live on Sky Sports and DAZN." Alex Krassyuk of K2 Promotions said: "I am delighted to start our cooperation with Matchroom Boxing and Eddie Hearn in particular whom I consider to be the most successful promoter of the present time. "In his 15 fights to date, he has created history by becoming the first cruiserweight to unify all four belts and there is more history to be made. He knows that in order to become the king of World boxing, he will have to dethrone the biggest name in boxing Anthony Joshua. "But this is for the future. For now, a cruiserweight showdown with Tony Bellew is our focus. We are hoping the deal will be finalized shortly and the fight will be announced soon." Povetkin: Ready to rumble, AJ?